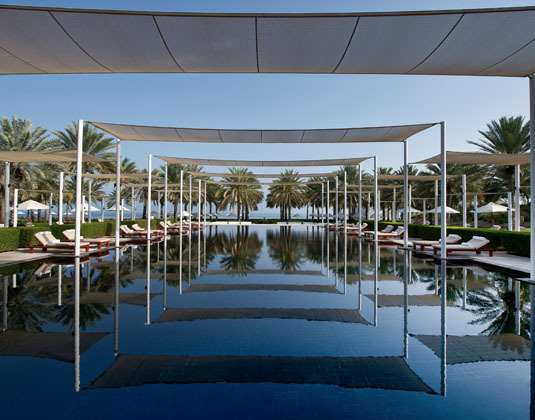 Flanked by a private sandy beach and offering breathtaking views of the Hajar mountain ranges and the Gulf of Oman, The Chedi is an oasis of mysticism and luxury. 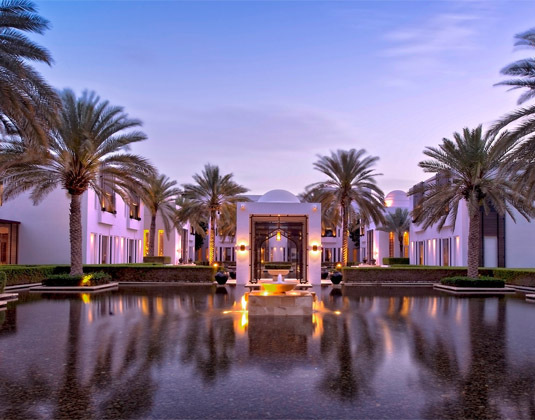 Designed in the style of traditional Omani architecture with simple elegance and minimalistic furnishings, this is a sophisticated retreat for an unforgettable stay in the Arabian Peninsula. 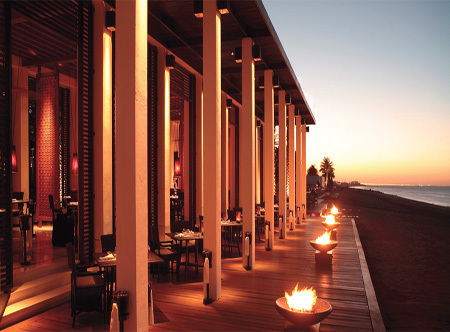 Six distinct restaurants, a Balinese spa - the largest in Muscat with 13 treatment suites and 400 square metre health club, tastefully appointed rooms and the highly recommended Chedi Club Suites and villas. 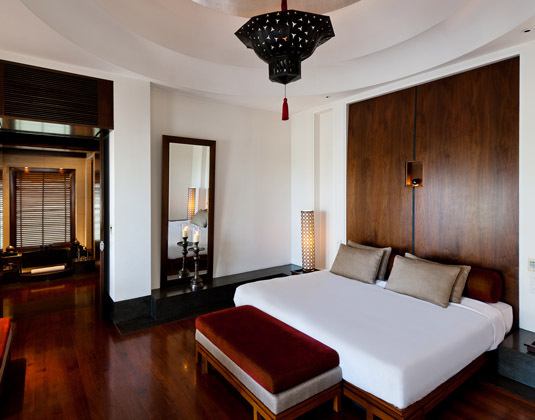 In Serai rooms (double bed only) with air-conditioning, open plan bathroom, shower and mini bar. Larger Chedi deluxe mountain, garden or water-pond facing rooms * deluxe club and deluxe club balcony rooms which offer club lounge benefits * Chedi Club Suites some of which are nearer the beach and offer a separate living area, balcony or terrace, free daily mini bar, afternoon tea, laundry and evening cocktails in the club lounge. 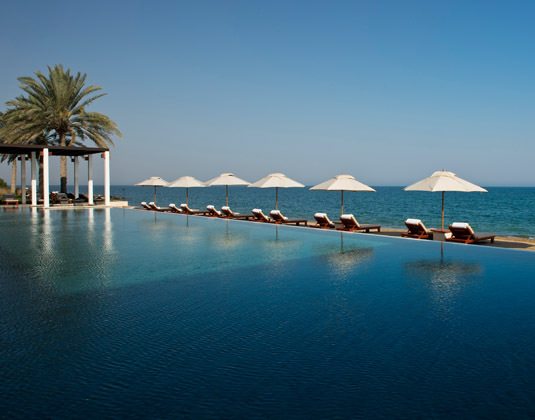 15 minutes from Muscat airport. 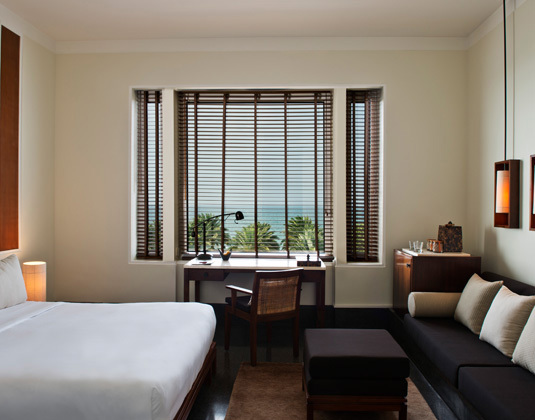 Early booking room discounts up to 35%, room upgrades and upgraded room & suite benefits: Available on selected dates. Please ask for details. 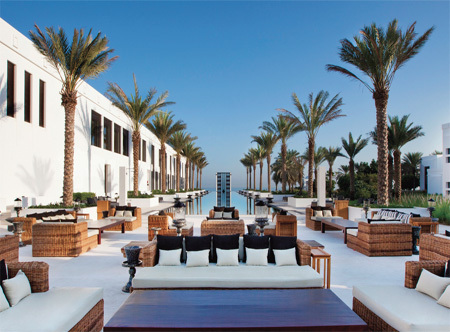 FREE UK airport lounge: For all bookings made at this property - see page 7 of our brochure for details.